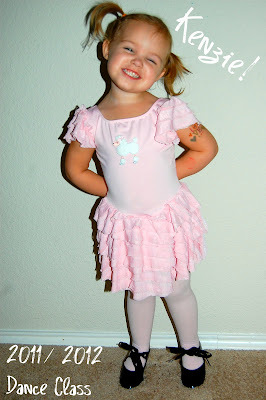 Mom of My Dreams: First Day of Dance Class! 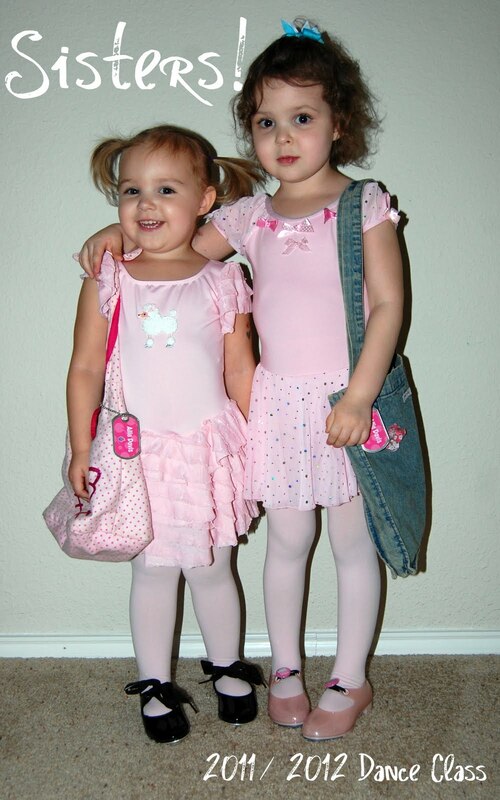 A new year of dance class started today. Allie has the same teacher that she had over the summer and she was very excited about that. This was Kenzie's first day in big girl dance class. They start at age 3 but since Kenzie is a sibling of a student and she took dance at another studio this year they let her do a trial class. Kenzie went to her class for the first hour then Allie went to her class for the next hour. Allie was able to do some schoolwork while Kenzie was in her class so that worked out great. I noticed she had an issue staying in her place when they weren't doing anything. She did everything the teacher did, heel/toe, shuffle step, curtsey, plea, etc. but when they were lined up waiting their turn she would run off to the side or jump around. 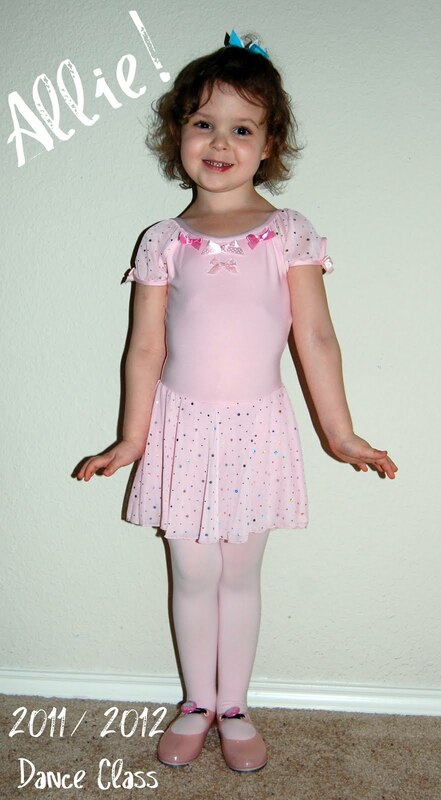 I thought for sure they were going to tell me she needed to wait a while before joining dance class there but they said she did great and they would work with her on staying put. Hooray! If only both girls went during the same hour! Enjoy the pics from the girls first day of dance class for the 2011/2012 year. 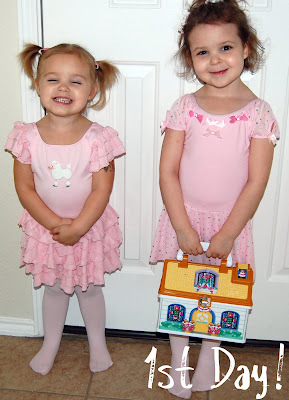 I made them a special breakfast to celebrate the first day of dance class. 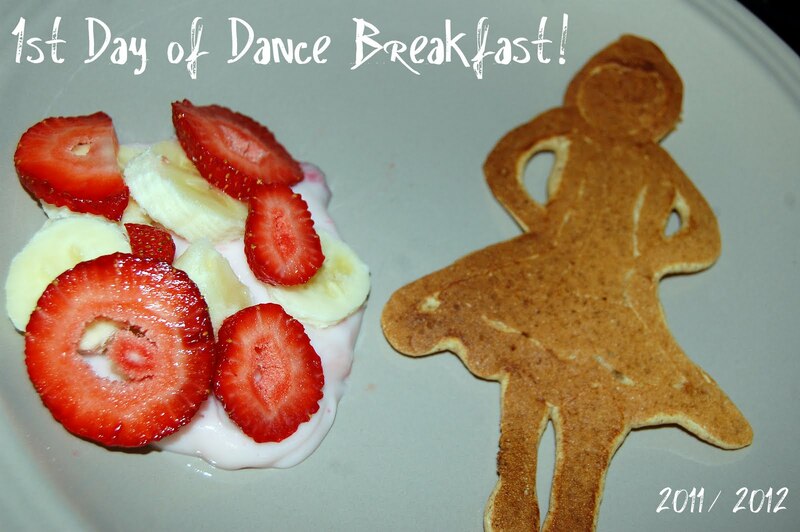 Yes, that is supposed to be a ballerina pancake! Best I could do free hand but the girls loved them so that's all that matters.